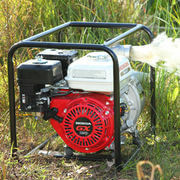 The WB20XT Honda water pump is built strong enough to handle anything you can throw at it. Featuring a GX120 engine which is easy to start and use, greater fuel economy while only producing a low amount of omissions. This water pump features an oil alert to prevent you from running your Honda water pump low on oil. 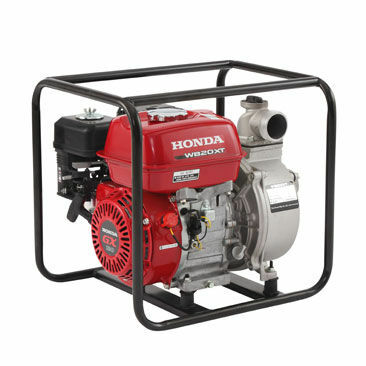 And the durable frame is fitted with rubber mounts minimising vibration and providing stability for a long lasting Honda water pump. The WB20XT has the ability to deliver 600 Litres of water per minute, with the 2" Volume water pump has a max suction head of 8m and a max total head of 32m. Like all Honda power equipment their 4-stroke technology eliminates the hassle of having to mix fuel! Meaning all you need is straight unleaded and your good to go. 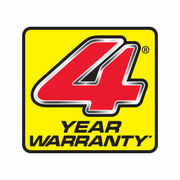 One again Honda backs their product to the hills providing a 4 year domestic warranty and 1 year commercial warranty showing you your buying a product you can trust. 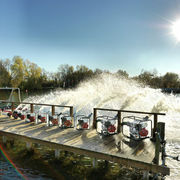 Can pump a huge 600 Litres per minute! Meaning you can transport water from point A to point B efficiently and quickly.